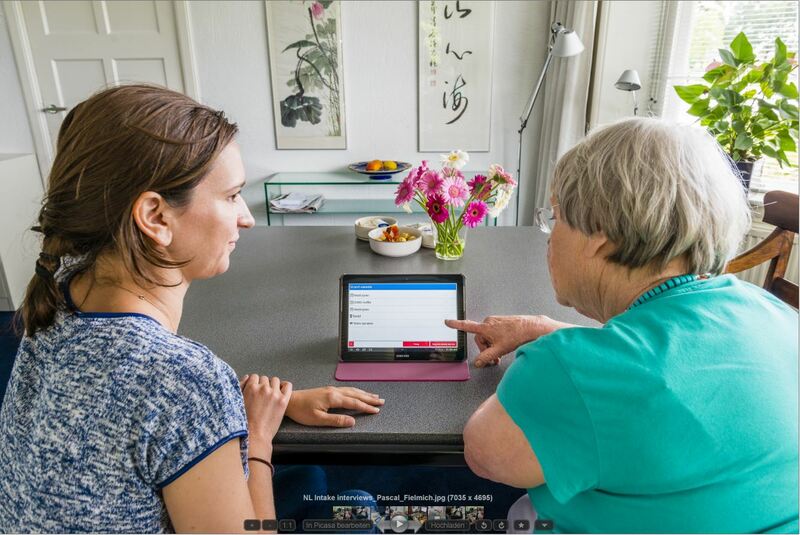 SOCIALCARE brings smart technology into the care sec tor to strengthen social bounds and empower elderly people to stay at their homes. Innovative technology changes all areas of our lives, care sector being no exception. Elderly people seem to be most opposed to such a shift. 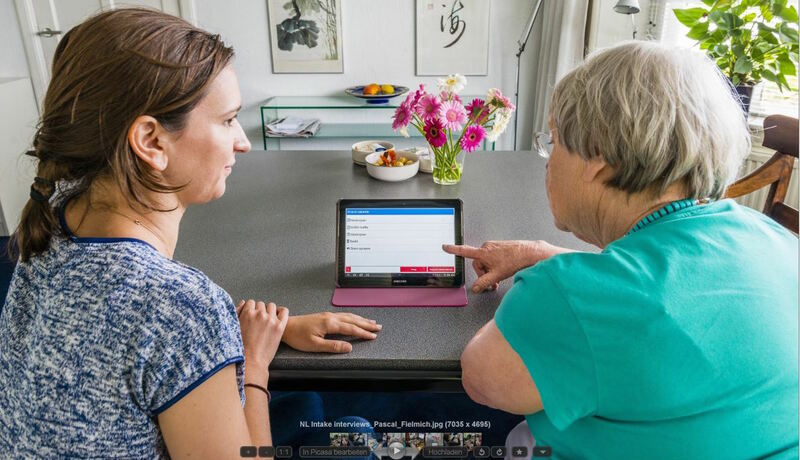 Step by step this gap keeps on shortening – elderly actively Skype with their children or receive pictures from the family on their tablets. SOCIALCARE project strives to build even more trust towards technology and empower older generations to stay in their home environment as long as possible. 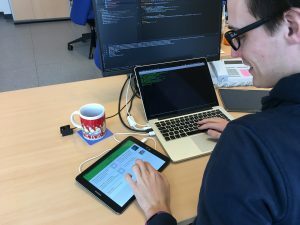 The goal is to develop an app creating an online meeting platform in local neighbourhoods, offering a space for learning from each other, entertainment and last but not least for innovative self-monitoring of health. 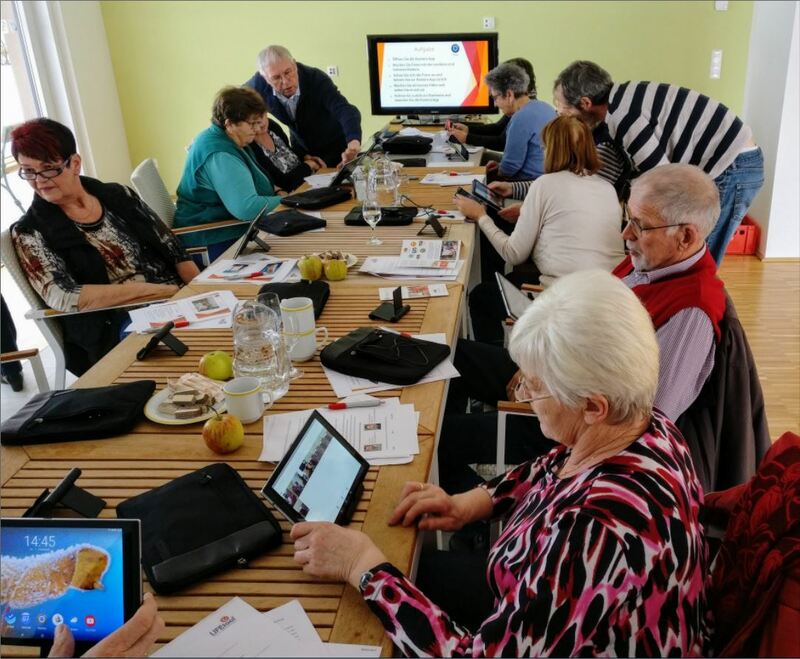 SOCIALCARE project is a cooperative initiative of 8 partners from 4 European countries – Austria, Belgium, the Netherlands and Spain – realised with support of the EU Joint Programme AAL (The Active and Assisted Living). The original idea is to encourage elderly people to explore added value that technology can bring to their lives. As one of the technical partners, Arne Leeman from Eerste Verdieping Internet Communities describes, “It is a sort of online community giving access to family members, informal care givers and volunteers, who gathered to support elderly generation, to learn from each other and to have a bit of fun”. The platform is also compatible with a variety of devices for health monitoring, such as fitbit, home emergency button, blood pressure meter or fall detection devices, whereas participants can decide to share data collected with their relatives or caregivers. 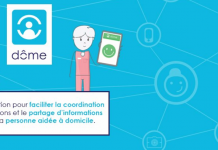 SOCIALCARE goes hand in hand with a spirit of iCareCoops by offering innovative ICT driven solutions as a support for elderly in their day to day activities. It does not want to replace existing communities, on the contrary, its goal is to bind seniors tighter with their neighbourhoods. 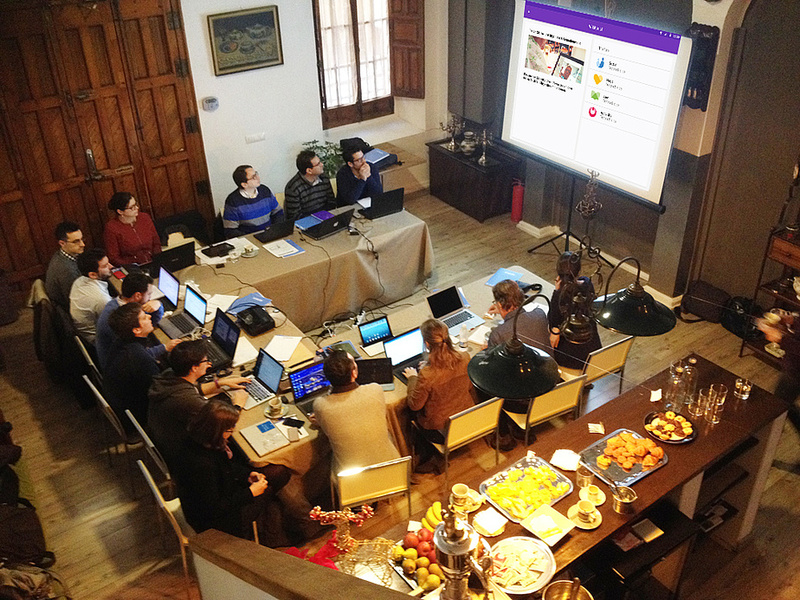 Our technical partners, ISOIN and Worldline in Spain, the University of Applied Sciences in Upper Austria and EVIC in the Netherlands are now in the final stage of developments of 4 components – social, learn, care and devices. The apps have come through several end users testing cycles and technical adjustments. The cornerstone of the project is however its participants recruited during intake interviews at pilot sites. 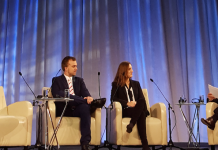 The aim of the interviews was not only to introduce the project and its benefit but also to map the needs, expectations and technical skills of potential participants. 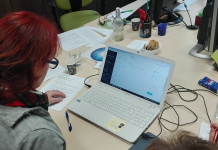 In the Netherlands, the project coordinator Nationaal Ouderen Fond oversees the implementation of the platform in local communities in Putte and Son en Breugel. In Upper Austria, our partner LIFEtool coordinates the site in the communities Bad Zell and Mühlviertler Alm. At the beginning of 2017, both pilot sites organised tablet trainings for selected participants, either lead by a specialised couch or organised in tandem with local student volunteers. 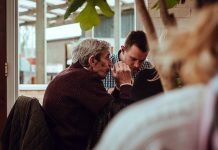 SOCIALCARE wants to stimulate transfer of knowledge among generations. Gerard Van Loon from Nationaal Ouderenfonds described the choice of the concept, “We found it important to engage a school by the training. This enshrines the main goal – to bring together young and old”. In few days, the first of two pilot cycles will be launched. “Participants are excited to start to use the platform”, Stefan Schürz from LIFEtool reported. And all researchers are also thrilled to kick-off the first pilot cycle. No wonder, after all the work done. “There has been lot of effort invested into preparation. For example, my colleague Gudrun Haider from the Johanniter Austria and I worked hard to ensure that participants and their data collected are protected following the most recent data protection standards and that all evaluation strategies correspond to research ethical standards”, commented Lenka Christiaens from Johanniter International in Brussels. SOCIALCARE is a project that engages technology by transformation of the care sector, taking care out of traditional care houses for elderly to their natural home environment, leveraging engagement of volunteers, neighbours, relatives together with professionals. First trials are being launched, therefore watch this space! Marvelous, what a web site it is! This webpage presents useful data to us, keep it up. Spot on with this write-up, I seriously believe this website needs a great deal more attention. I’ll probably be returning to see more, thanks for the info! What’s up all, here every person is sharing these kinds of know-how, so it’s nice to read this blog, and I used to go to see this weblog all the time.